When you discover unwanted pests or wildlife on your residential or commercial property, the last thing you want to worry about is how much it will cost to get rid of the critters. 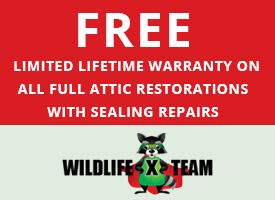 At Wildlife X-Team of Houston, we understand that there is no price that can be put on the safety of your family, employees, and customers. 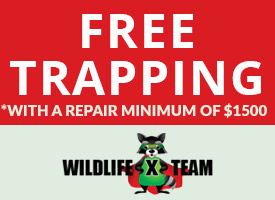 Our goal is to provide safe, humane, and effective wildlife removal services at affordable rates, and to help, we proudly offer specials for our valuable clients. 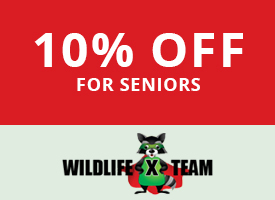 Whether you need raccoon removal, mouse removal, bee removal, or some other service, we are here for you. Browse the specials below and then call our team at 281-930-5224 to request a quote!